Rockville Nights: Should Rockville eliminate long-vacant government positions? Should Rockville eliminate long-vacant government positions? 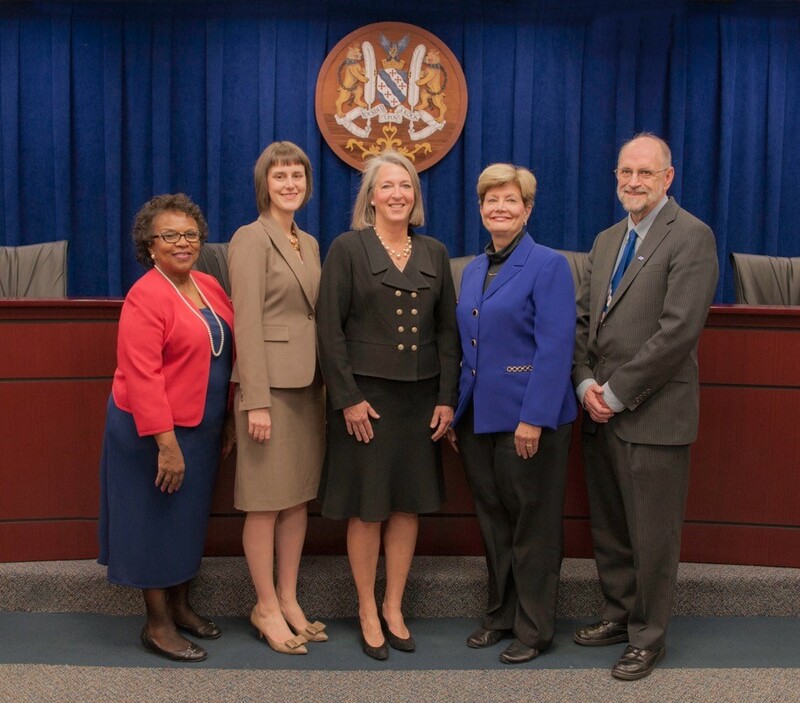 Rockville City Councilmember Beryl Feinberg urged her colleagues to eliminate several city government positions that have long been vacant at last night's Mayor and Council meeting. Reasoning that the City has managed without those employees for an extended period, Feinberg concluded they could be safely eliminated, to constrain the budget going forward. She brought up the issue during an FY-2017 budget worksession. Mayor Bridget Donnell Newton and Feinberg's Council colleagues strongly disagreed with her proposal that they discuss the possibility. "We need to stay in our lane," Newton said, referring to the City's Council-Manager form of government, which gives the City Manager purview over personnel. Councilmembers Mark Pierzchala, Julie Palakovich Carr and Virginia Onley agreed with Newton. Feinberg stressed that no current City employee would face a salary cut or termination, as all of the positions are currently empty. Newton suggested that the vacancies may not be as clear-cut as they appear, and might not remain vacant far into the future. On the code enforcement position Feinberg cited, Newton noted that the shortage of such City inspectors has been to blame for delayed restaurant openings in Rockville Town Square. Acting City Manager Craig Simoneau backed up her line of argument later in the discussion. He said one of the positions became vacant because that employee was on a military deployment overseas. Another is in the process of being filled. And Simoneau hinted that he might well fill some of those vacancies, and put those new employees to work where current staff are most-overtaxed. With no support for her targeted proposal, Feinberg then asked for $300,000 in general cost savings to be found in personnel. She noted that in her years of government experience, she has not found government departments to be willing to voluntarily eliminate chronically-vacant positions. Simoneau candidly acknowledged that he would not seek to eliminate these positions at this time. Clearly Council-member Feinberg is weaving out of her "lane" due to a bout of GUI, Governing Under the Influence. Intoxicated with her stint as a civil servant, now drunkenly looking for power. The above post looks like another Cynthia Cotte Griffiths hack job. Of all the elected officials in the city and county, Beryll Feinberg is as down-to-earth sober as they come. It may or may not be within her purview to directly have a say as to which long-vacant middle and senior management jobs are disbanded, but many Rockville taxpayers applaud her efforts to trim the fat in Rockville’s top-heavy, inefficient government. Her efforts in the budget process and cleaning up Rockville’s broken (and costly) procurement system are nothing less than heroic. The only one who is “weaving out of her lane” is you Ms. Griffiths, due to a bout of BUI, Blogging Under the Influence. --- Mr. Pierzchala, please call off your attack dog.